Planning on shedding a few pounds before your holiday this summer, or want to give your skin a youthful boost for make-up free days at the beach? It may be time to detox your kitchen cupboards for some seemingly healthy foods, which could actually be doing more damage than good to your waistline and skin. “If you’re going gluten-free, don’t be taken in. 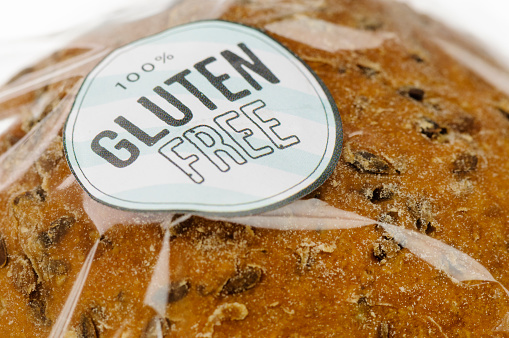 Gluten-free breads, baked goods and treats can be higher in sugar and additives and have a higher glycaemic index (they’ll spike your blood sugar more) than their gluten-containing equivalents. 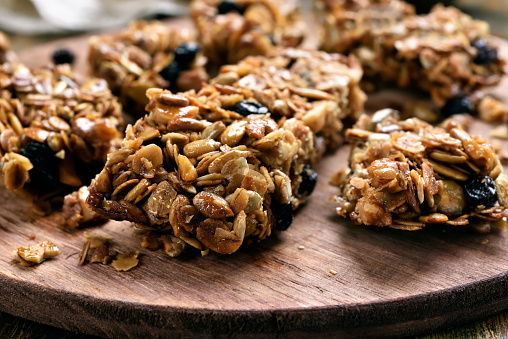 “A better approach to healthier baked foods – whether you’re gluten-free or not – is to make your own with recipes that use minimal sugar and alternative whole grain flours, coconut flour or ground almonds. Or, as an easy everyday alternative to bread or crackers, go for gluten-free wholegrain oatcakes such as Nairn’s Gluten Free Super Seeded Oatcakes (RRP £1.79, Sainsbury’s),” explains Nutritionist, Cassandra Barns. 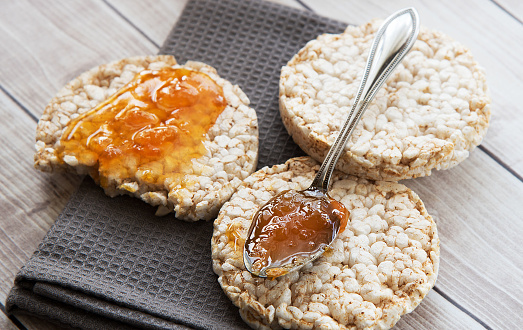 “Rice cakes are often thought of as a low fat, gluten-free health food. However, most rice cakes are made from white refined rice, leaving them with a glycaemic index close to 91 (pure glucose has a rating of 100). “This means that rice cakes breakdown into sugar rapidly within the body, resulting in blood sugar imbalances and weight gain,” says Cassandra. “You might think that a can of soup would be a light and satisfying meal, but again you have to read the ingredients on the label. Many of them will have added sugar and some also have glucose syrup. Both the sugar and glucose is going to cause a rise in blood glucose and then an increase in release of insulin which triggers to store fat,” explains Dr. Marilyn Glenville, the UK’s leading Nutritionist, author of Natural Alternatives to Sugar. (www.marilynglenville.com). Perhaps the worst thing you can eat if you want to maintain young-looking skin! 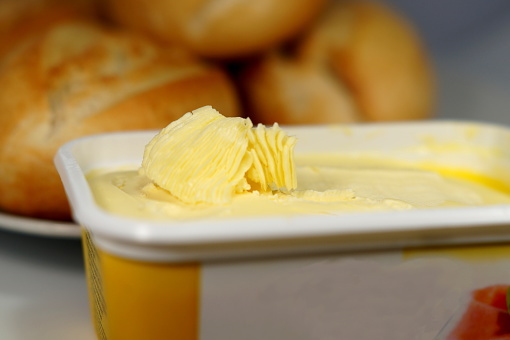 Vegetable oil spreads and margarines are made by bubbling hydrogen through liquid vegetable oils, which can create damaging and ageing trans fats. 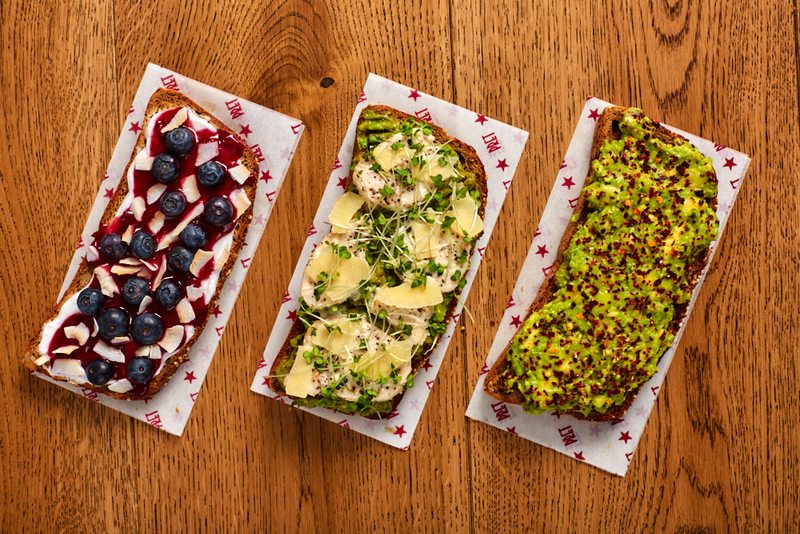 Butter is actually a much better alternative as a spread, as it’s a natural solid fat and contains vitamin A, which is vital for our skin. For cooking, cold-pressed olive oil, coconut oil, butter and ghee are all great. Ghee is especially good for cooking and roasting as it has a high smoke point, tastes delicious and provides vitamin A,” says Cassandra. 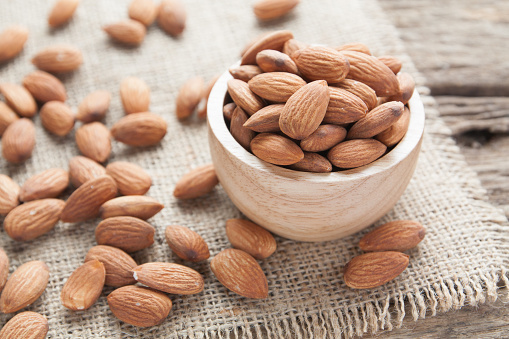 “When it comes to nuts, almonds can be very moreish, and it’s easy to polish off a small 100g bag while racking in nearly 600 calories within minutes. Portion control is absolutely vital, with a handful being the optimal portion size,” says Cassandra. 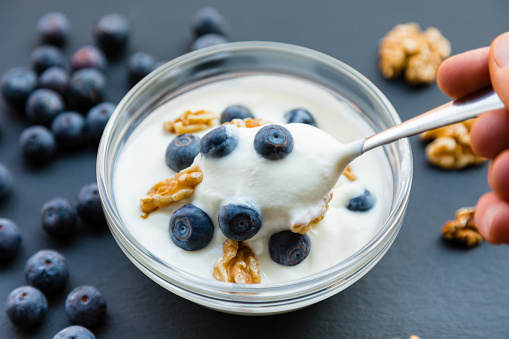 “The label might say ‘low fat fruit yoghurt’ and so you would think it would help with controlling your weight, but the yoghurt can contain up to 8 teaspoons of added refined sugar. Often sugar is the next ingredient after milk in highest amounts in the yoghurt. This type of yoghurt will be a high GI food, causing your body to release more insulin to deal with the quick rise in blood sugar (blood glucose) and insulin is your fat storing hormone of the body,” explains Marilyn. 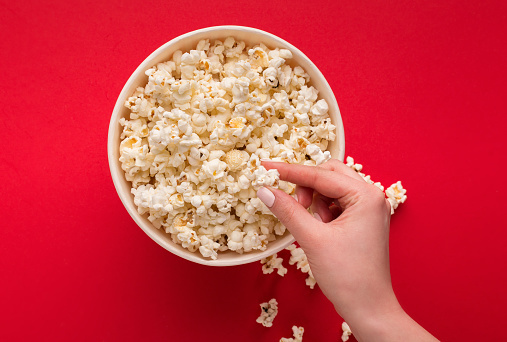 “It’s often considered a healthier alternative to crisps, but popcorn is still high in fast-absorbed carbohydrates that can spike your blood sugar. And because sugar damages proteins, high blood sugar is your skin’s worst enemy. It can be a better option than some other snacks, but popcorn should still be a treat rather than a staple food in your diet. For some additional benefits, switch your popcorn for lotus seed snacks such as Karma Bites (RRP £1.59, www.karmabites.co.uk). Lotus seeds contain skin-protecting antioxidant compounds including flavonoids, like those found in vegetables and fruit,” explains Cassandra. As a better alternative, go back to the chocolate! But make it a good-quality dark chocolate with at least 70% cocoa, avoid artificial additives and go raw if you can. The antioxidants in raw cacao can have extra anti-ageing benefits for our skin! Try OMBAR 72% Cacao (RRP £1.99), or OMBAR 90% Cacao (RRP £1.99, www.ombar.co.uk). 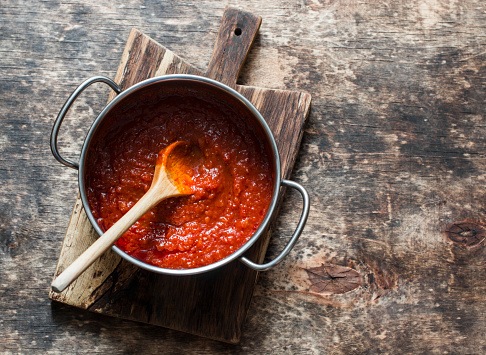 “You would think that tomato sauce would be healthy as it is low in fat, but unless you make it yourself it can also be high in added sugar. And if you then pour this over white pasta, which in itself is a high glycaemic index food because it is a refined carbohydrate like sugar, then you have a double whammy on your weight gain,” says Marilyn. 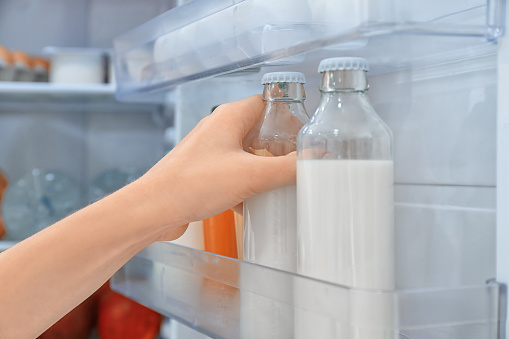 “For years it seemed like common sense to choose the low fat, low calorie milk option. But in reality by choosing skimmed milk, we are missing out on much needed fat soluble nutrients like vitamins such as D, A, E.
Fat really isn’t the health villain we have been led to believe. It has now been disproved that full-fat milk leads to weight gain and heart disease. In fact, organic full-fat milk provides us with many essential fatty acids like omega 3s and conjugated linoleic acid, which have powerful inflammatory and brain health benefits,” explains Cassandra.